She sobbed softly, unable to contain her grief any longer. She and her family had traveled from the East coast and although the trial they had desperately hoped would happen had once again been delayed, they came to court every day to hear about the last moments of their son’s life. With swollen eyes and a trembling voice, she told me how her son never took chances. He never wanted to come to California in the first place, believing the “party” atmosphere would distract him from his work. When he was old enough to drive, she and her husband had “drilled into his head” the dangers of drinking and driving and after the recent loss of a close friend to the lethal combination of drinking, driving, and speeding she knew the lesson was fresh in his mind. She spoke to him several times that day, just the “usual” mother and son chit-chat. He was going to help his friend move then hang out with his buddies for a bit before heading off to bed; he’d done some extra work during the week and he was exhausted come Friday night. She reminded him “for the millionth time” not to drink and drive and he stopped her mid-sentence, saying he didn’t intend on going “out,” just going over to a friend’s apartment for some dinner. She couldn’t understand why his plans had changed. He sent her a text message the evening of the crash, telling her that he was having a good time and he’d call her the next day. That’s the last she heard from him. Early the next morning, she received the call from authorities in California telling her that her son was dead. Seeing the two surviving passengers that were in the car that night would be hard, she knew, but she also knew that they were the ones that could tell her what happened. She knew the driver would be in the courtroom as well and although she understood that he would have his back to her as he sat at the defendant’s table, she was unsure of what her reaction would be. When the time came, she wasn’t able to enter the courtroom. She stood sobbing at the door, looking through the small window waiting for her anger to pass. Eventually she entered, took her seat next to her daughter and husband, and steeled herself for what she was about to hear. She learned that it wasn’t her son’s idea to go to the bar that night but that he reluctantly went along, “to have a couple of beers.” She discovered that his friends had discussed who would be the designated driver and had confronted their choice when he began to drink his first beer of the evening, telling him they had money for a cab if he didn’t want to drive. The driver promised to stop after “just one.” She heard one survivor describe how all three passengers stood outside the car, asking the driver if he was sure he was okay to drive and she listened as the speaker recalled how he yelled at the driver to slow down. Finally, she began to sob as she heard, in graphic detail, the sequence of events leading up to the crash; the missed turn, the illegal u-turn, the increasing speed, the whining of the 8-cylinder engine, the feel of the rear tires losing traction, the realization that the car had crossed the center divide and was heading straight for a tree. As she sat in a cold, all-but-empty courtroom, she heard how a near-stranger was with her son as he took his last few breaths and her shoulders began to heave with the understanding that her son did not die alone. She handed me two photographs of her son and I examined the face of the person that smiled back at me. Unsure of what to say, I was reminded of something I heard from one of the Rabbis at synagogue and although I wasn’t visiting the home of a mourner, the same principle applied. Trite, cliché platitudes aren’t helpful to someone who has lost a loved one but being present in mind and body is. I sat quietly, putting my hand gently on her shoulder as she took the photographs from my hand and gently stroked the face in the picture. She hugged me as she stood to leave and I watched as her husband and daughter helped her walk down the hallway toward the exit. I knew that it would most likely be another 6 months before the man accused of killing her son would face trial and I knew when that time came she would once again fly across the United States to be there. 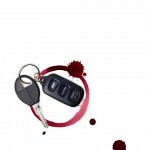 PEOPLE DIE EVERY DAY AS A RESULT OF SOMEONE WHO CHOOSES TO EITHER DRINK AND DRIVE OR GET INTO A CAR WITH A DRIVER THAT HAS BEEN DRINKING. DON’T DRINK AND DRIVE. DON’T GET INTO A CAR WITH A DRIVER THAT HASBEEN DRINKING. again- very, VERY well said… gosh you have a hard life sometimes!